For more information and to register: www.NWCyber.camp. The original co-founders of NW Cyber Camp (formerly known as PDX Cyber Camp) include Charlie and his daughter, Amelia Kawasaki, and Zander Work, who created the camp in 2016 to inspire youth towards careers in cybersecurity. 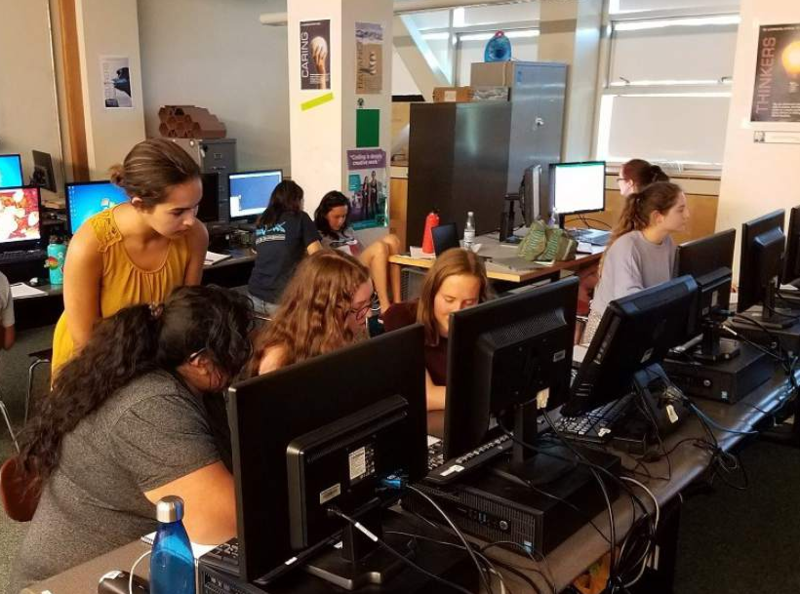 While she was in high school, Amelia was one of the cybersecurity camp’s instructors and heavily involved in the girls’ camp, featuring leading female guest speakers and instructors for a tailored program for young women interested in STEM careers. The cybersecurity experience and skills that she gained at the camps led her to software engineering and data science internships with Formaltech and Cylance. Amelia is currently pursuing a degree in Data Science at the University of California, San Diego. Zander was also a camp organizer and instructor; and is currently pursuing a degree in Computer Science at Oregon State University. He is the president of the award-winning OSU Security Club. Sponsors of NW Cyber Camp 2019 include PacStar (title sponsor), Facebook, Mentor Graphics, McAfee, HP, Galois, and Splunk.